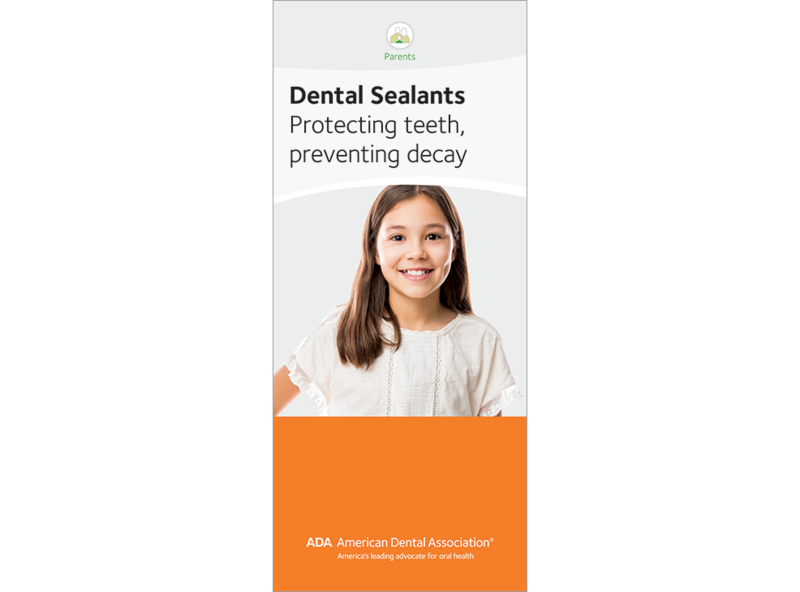 This ADA dental sealants brochure is a great resource for patients of all ages. With easy-to-understand terms and relatable imagery, this brochure explains how sealants can protect against cavities and act as a shield for children’s teeth. Covering everything from the basics of plaque to illustrating how toothbrush bristles can’t reach the small fissures in their teeth, you can use this resource to educate your patients on the preventative benefits of sealants. Help your patients understand the benefits of preventing tooth decay. By explaining and performing these important treatments, your patients can avoid cavities or costly restorations. Order your copies of “Dental Sealants: Protecting Teeth, Preventing Decay” today!